Welcome to the English Language Guide! Here you will find recommended resources to help you learn and improve your English skills and get you started on your research for your assignments. This book is designed to give beginning students immediate help with English pronunciation. The book concentrates on topics, such as rhythm, intonation, and sounds as grammar cues, that will make the biggest difference in students' ability to understand and communicate with others. Read a variety of magazines such as the Canadian Geographic, Wired, ESPN Magazine, Vogue, Comics & Gaming Magazine and more on this digital magazine platform. 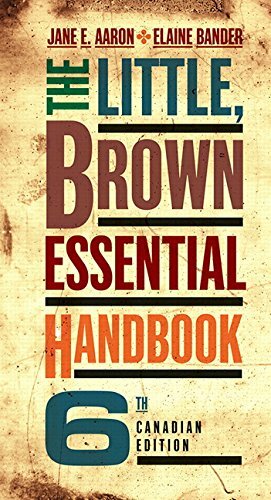 This little book contains a lot of useful information on how to write grammatically correct sentences, how to form effective arguments, and how to do research and use citations to document your sources. The content is easy to follow with clear and concise examples. A great resource for any writer!